Okay! Musume Time: Where Chiima shares her Scattered Scribblings on Country Musu--- Sorry, Country ・Girls! Where Chiima shares her Scattered Scribblings on Country Musu--- Sorry, Country ・Girls! In an amazing turn of events, it turns out that Country Musume is still going to happen! Correction: Country ・Girls is going to happen! Didn't expect that news this week, did you? I sure didn't, if that helps! According to a post on Facebook that I found, it turns out that after the failure of the auditions that took place to revive the group, Satoda Mai, the sole remaining member of Country Musume, still hoped for the group to make its comeback with such a passion that her wish was granted, and so two Trainee's were plucked up from the training programme as well as a few 12ki rejects, and the group was revived and re-named. It has also been revealed that the group will surprisingly not be produced by Tsunku, however the group will be watched over by both Satoda Mai, who will become the groups supervisor, and Tsugunaga Momoko, who will manage the group and also become a member once she graduates from Berryz Kobou next year. 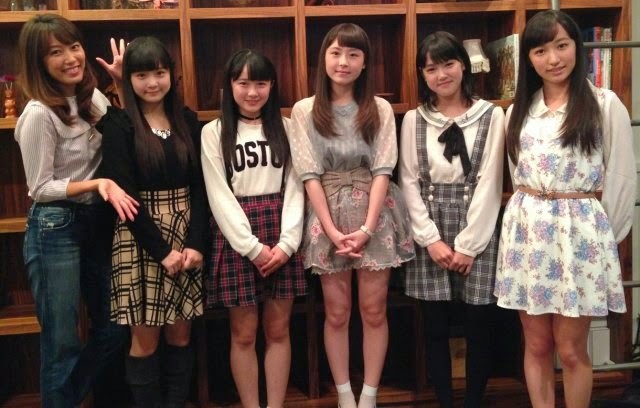 Thus, the group will stand at six members by next year with Momoko as their leader. Alongside Momoko, the new members to join Country Musume's Country ・Girls' restart are Yamaki Risa (17, former Kenshuusei), Inaba Manaka (16, former Kenshuusei), Morito Chisaki (14, formerly of CoCoRo Gakuen), Shimamura Uta (14) and Ozeki Mai (12, previously under Tambourine Artists). The new group will mark their first official public appearance as Country ・Girls during the Hello! Project Winter Concert in the New Year. I don't know what to say. Furthermore, I don't know what to think, not yet at least. Right now, I'm in a state of happiness and disappointment at this announcement; happy that they are actually going ahead with the revival of Country Musume, because I was sad for Satoda Mai's wish to go to waste when no one was chosen beforehand, and disappointed because Momoko is in it. In a way, this is a bit of a bittersweet announcement to be hearing, for me at least. I don't mean to say it's a bad thing that Momoko's going to be a part of the group, because it's not; if they're going to boost the interest in this group one way or another, then there is no doubt that Momoko is the one Idol who can create interest towards this group. She's like-able when she isn't being an annoying little toad, she has talent, she knows the inner-workings of being an Idol (she's done it since she was a kid, so yeah, she knows) and she is popular and well known in Japan, so adding Momoko of all people to a group that has been dead for a while is probably the best decision Hello! Pro has ever made regarding the revival of a group. This is a smart move on management's part, and making Momoko the manager of the group to boot? Even better choice. Doesn't mean I have to like it, though. Honestly speaking, with the end of Berryz coming next year, I readly wanted to see Momoko prosper with a career in variety or, heck, teaching. To hear that she was going to continue her Idol career with the news that Country Musume was going to actually happen was probably the biggest kick in the teeth I've had all year; I did not expect it, and Yowch. For anyone who may be sore at the fact that Country Musume, sorry, Country ・Girls is actually a thing now, well, I'm sore at the fact that Momoko is a part of it. I see the good points behind it, and as I said it's a bloody smart decision, but good lord I'm pissed off, too. Momoko was supposed to graduate alongside the rest of Berryz, not stay. I feel cheated. Still, this will boost the groups credibility, and it'll add some extra talent to it. Momoko will, without a doubt, be an excellent teacher for the girls and lead them to becoming pretty good Idols if she has her way. All in all, I'm happy to see that Hello! Project will have Country ・Girls join their ranks as the latest group, and despite being so new it does seem that, already, the group has some pretty talented girls in there! Of the three new girls, two have already had previous experience by either being a part of an agency or being a part of a group! Not to mention Inaba and Yamaki, trainee's at their prime I'm sure, who are adding their talent to the group! It seems interesting that these girls with experience are a part of a new group, so I'm genuinely looking forward to what they have to offer. That said, I have particular interest in our Mystery Girl, Uta, given she's the only one who is a true unknown; what talents lie within her, and what can she bring to the group? Country ・Girls is happening whether we like it or not, but I'm getting excited for the group! At the beginning I had no idea what to say or think regarding this formation, but now I seem to have more to say towards it, and yes, I'm feeling it now, so there is that. I'm going to be an optimist and say that yeah, I look forward to Country ・Girls regardless of the fact Momoko's there as well, I'm excited and ready for them. They've become intriguing, and honestly? Bring on the activity! I want to see them in action, and I want to see what these girls are made of and if they are worth the revival. Country ・Girls, welcome to the Hello! Project collective. Let's hope you're not run into the ground this time next year, or a total flop. Currently, I have no idea if Momoko is in the group or not; some places say she is, others say she's a manager and not a member. If she was a member, it would at least boost the group a tad! And yeah, the intriguing part is certainly the fact that Tsunku won't be their producer! I don't know about this new name, it may be hard to do a search. The old name was unique. I was I was initially puzzled by the group. But, as I got to know the girls a little better, this seems like a group of winners. 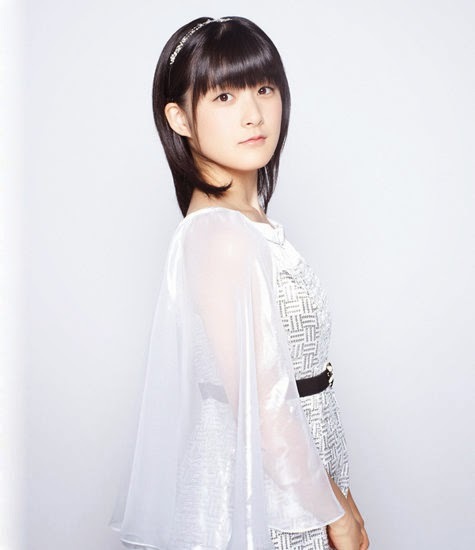 I've always regarded Momoko as a prime talent in H!P, so I now have nothing but good to wish upon this group! I'm looking forward to them! I was surprised it was decided to go on with creating them, but I'm happy they chose to - I was annoyed when they pulled the plug on the group because Mai wanted it to happen, but yeah, I look forward to them! Many wishes to them!! !